Photo by Bryan Stevens Spicebush Swallowtail and Tiger Swallowtail seeking salts and minerals from the edge of a gravel driveway. 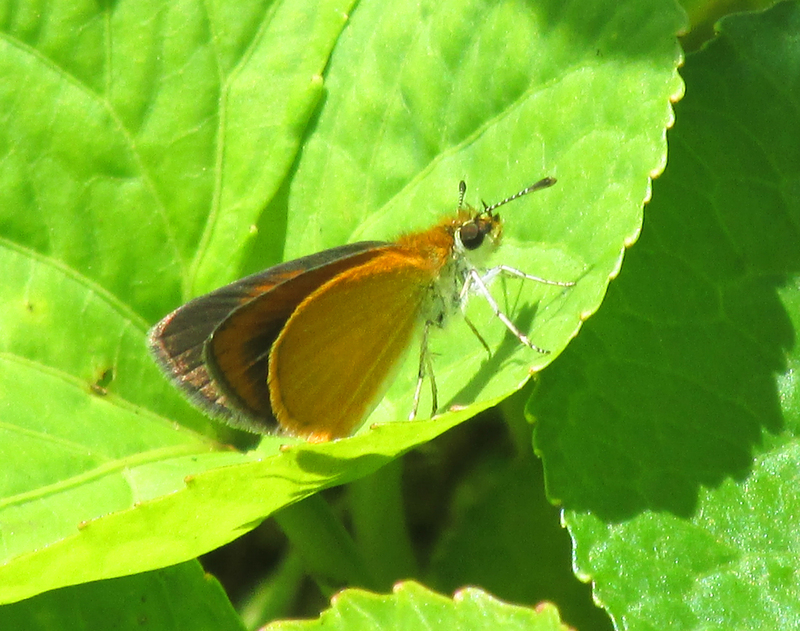 I’m taking a break from the birds for one week to bring you some other things with wings in the form of a pictorial essay on butterflies, which include such families of winged insects as skippers, swallowtails, fritillaries and much more. Most of these photos were taken at my home on Simerly Creek Road in Hampton, TN. A few were taken in other locations, including South Carolina and Georgia. Photo by Bryan Stevens White Peacock found on Fripp Island, S.C., in October of 2012. Resident from Argentina north through Central America, Mexico and the West Indies to South Texas and southern Florida. 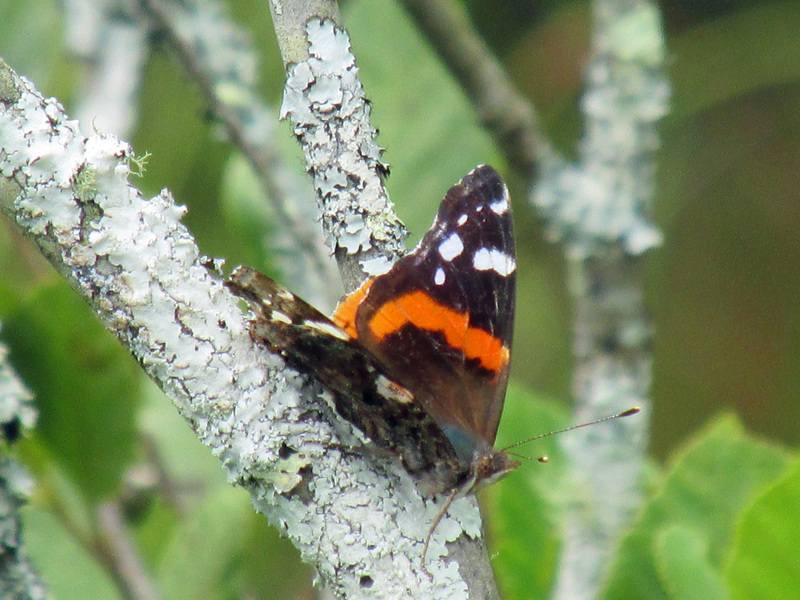 This butterfly migrates and temporarily colonizes to central Texas and coastal South Carolina. It is a rare wanderer to North Carolina, Missouri, Nebraska and Kansas. According to the North American Butterfly Association, there are about 20,000 species of butterflies in the world. About 725 species have occurred in North American north of Mexico, with about 575 of these occurring regularly in the lower 48 states of the United States, and with about 275 species occurring regularly in Canada. Roughly 2,000 species are found in Mexico. 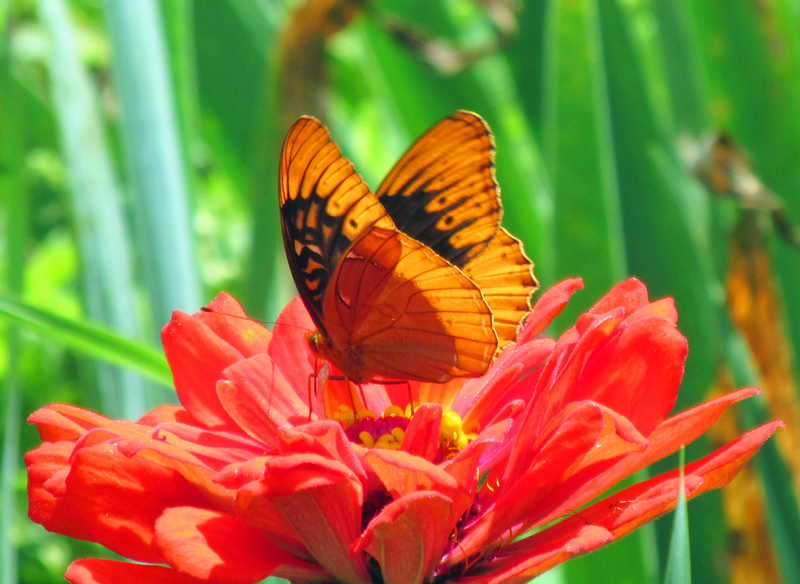 Butterflies are part of the class of Insects in the order Lepidoptera. Moths are also included in this order. Butterflies are not newcomers to the world of insects. Fossilized butterflies are known to date back to the Eocene epoch, some 40 to 50 million years ago. Photo by Bryan Stevens Some butterflies, such as the sulphurs, are known to migrate. 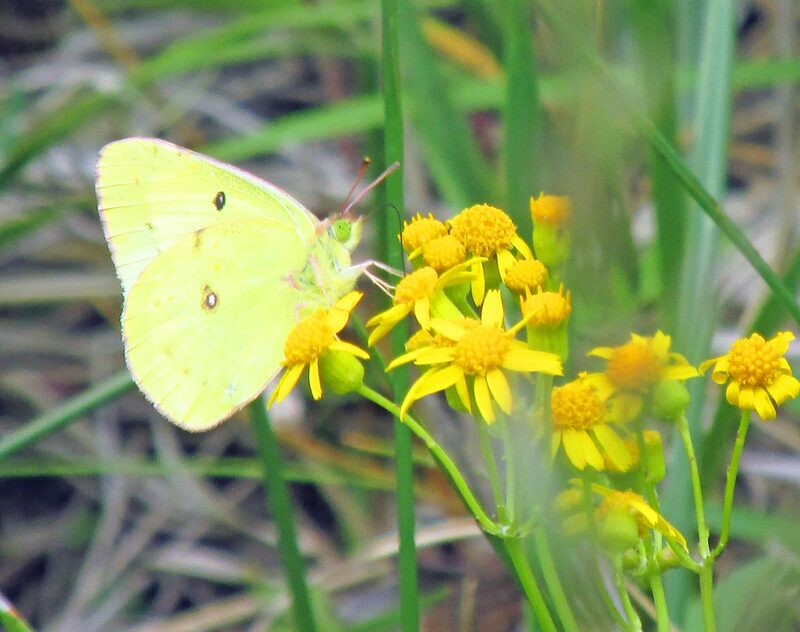 According to NABA, species that move northward each year include Cloudless Sulphur, Little Yellow, Gulf Fritillary, Painted Lady, American Lady, Red Admiral, Common Buckeye, Long-tailed Skipper, Clouded Skipper, Fiery Skipper, Sachem and Ocola Skipper. In especially good years, one can see Painted Ladies, Cloudless Sulphurs or Clouded Skippers streaming northward along migratory routes. Most years, however, these migrant dispersals are so gradual they don’t attract much notice. During fall trips to coastal South Carolina, I have often noticed hundreds of Cloudless Sulphurs along the edges of the interstate highway system. A Monarch sips nectar from blooming Ironweed. Photo by Bryan Stevens Pipevine Swallowtails seeks nectar from zinnia blooms. 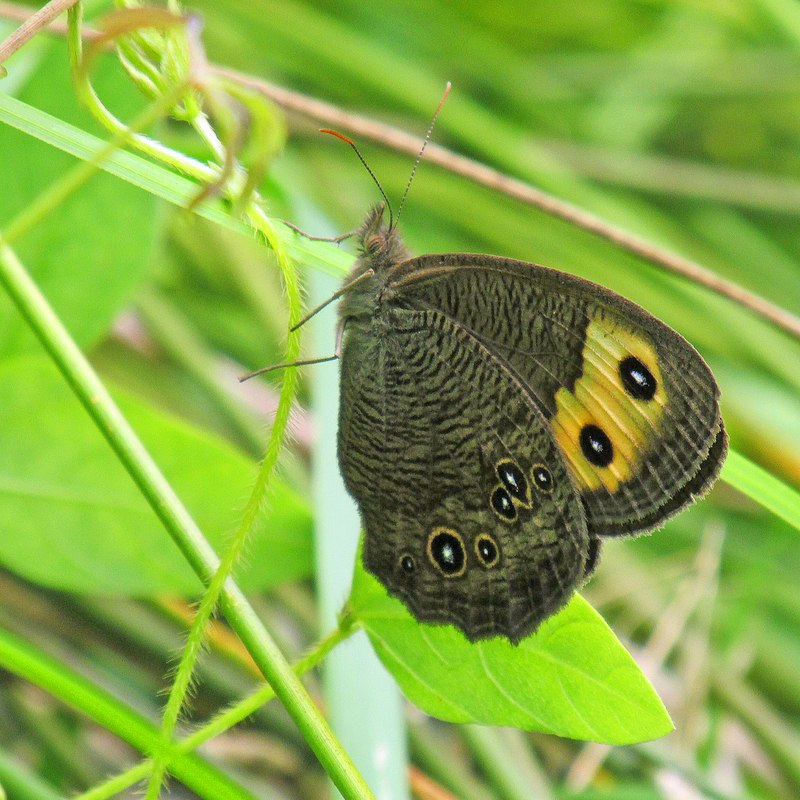 This butterfly was the most common one found during the recent Roan Mountain Butterfly Count. A total of 236 individual Pipevine Swallowtails, many located on milkweed in the fields at the Dave Miller Homestead at Roan Mountain State Park, were found. The North American Butterfly Association holds annual Butterfly Count in much the same manner as the Audubon Society conducts annual Christmas Bird Counts. 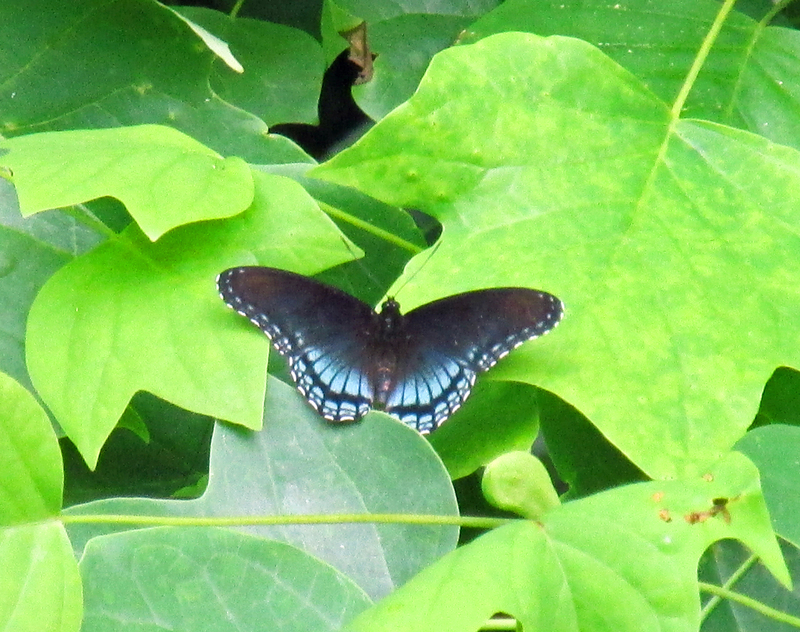 Locally, an Elizabethton Butterfly Count and a Roan Mountain Butterfly Count are conducted every July and August. Each count is a compilation of all butterflies observed at sites within a 15-mile diameter count circle in a one-day period. The annually published reports provide a tremendous amount of information about the geographical distribution and relative population sizes of the species counted. 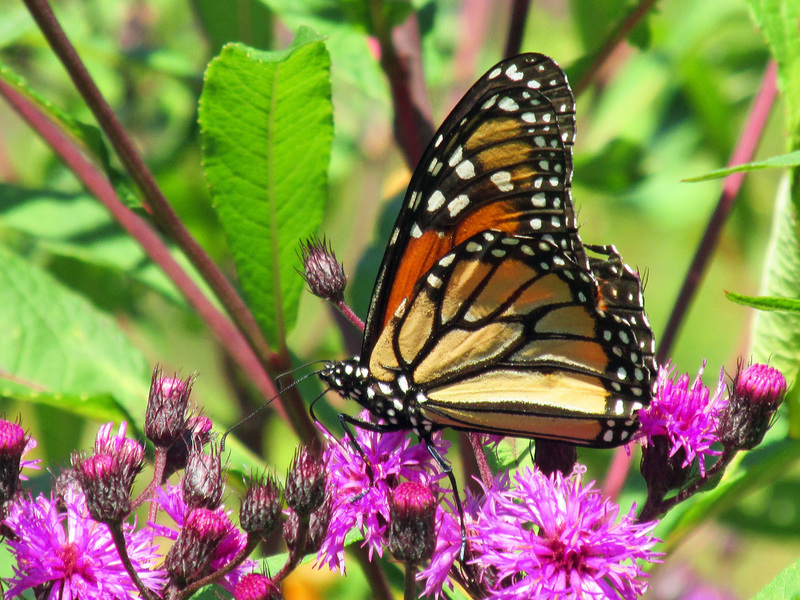 Comparisons of the results across years can be used to monitor changes in butterfly populations and study the effects of weather and habitat change on North American butterflies. This year’s first attempt at conducting the 22nd annual Roan Mountain Butterfly Count was rained out. A week later — July 26 — the count was re-scheduled and enjoyed a convergence of good weather and abundant flowers. 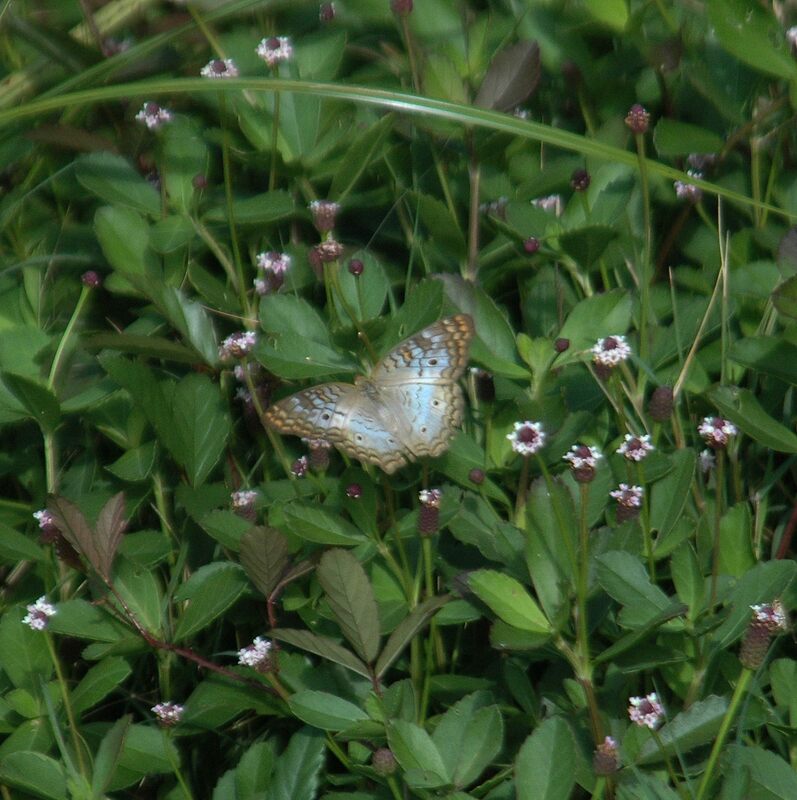 A total of 764 individual butterflies were counted. The total of 34 species was considered very high for this count, according to compiler Don Holt. Photo by Bryan Stevens A male Diana Fritillary seeks nectar from a zinnia bloom. Holt noted that other common species found on this count included Silver-spotted Skipper, Aphrodite Fritillary, Eastern Tailed Blue and Meadow Fritillary. Some exceptional finds included a male Diana Fritillary at the Dave Miller Homestead and a Harvester at Hampton Creek Cove. 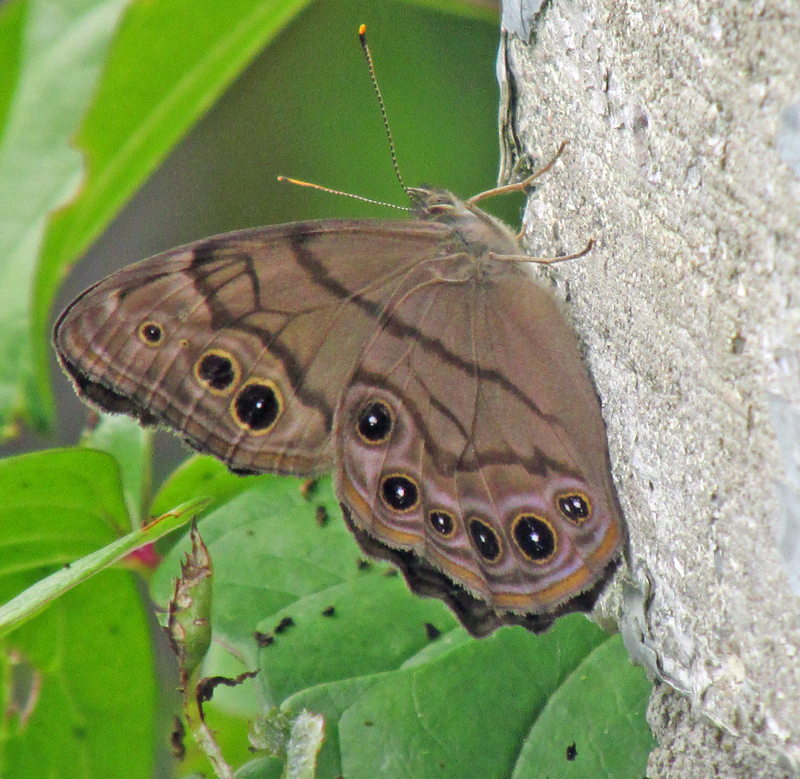 Photo by Bryan Stevens A Northern Pearly Eye perches on the vertical surface of a concrete step. 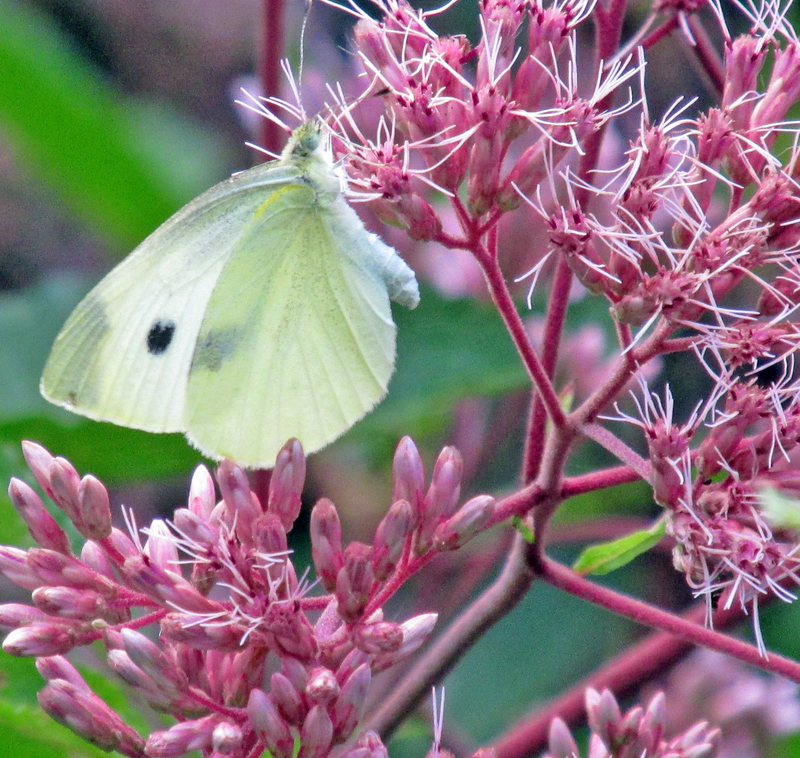 Photo by Bryan Stevens The non-native Cabbage White is one of the few butterflies considered an agricultural pest. The butterfly’s caterpillars damage such crops as cabbage, as well as other mustard family plants. 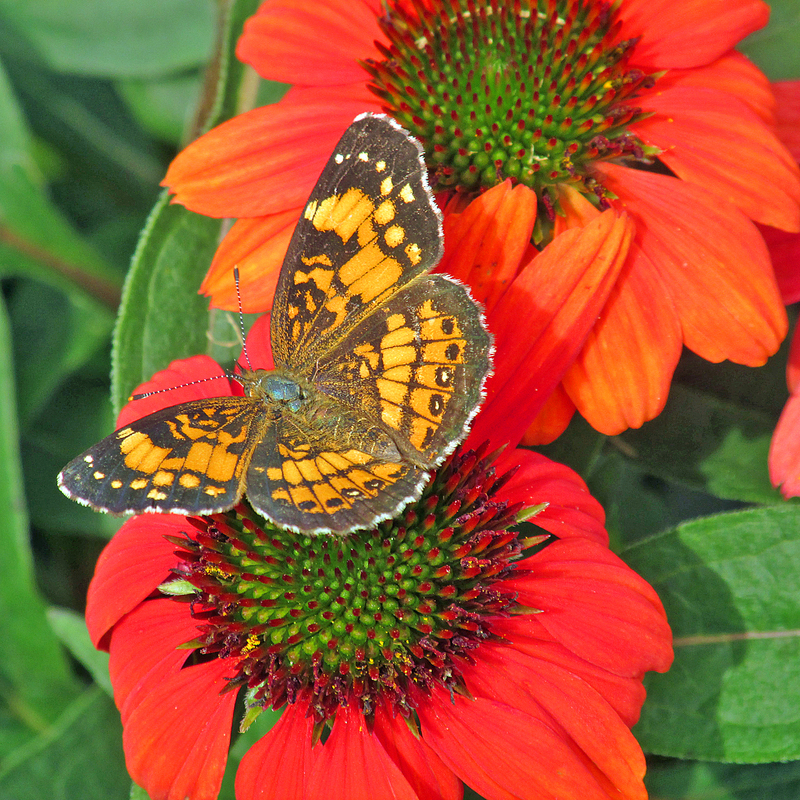 Photo by Bryan Stevens A Northern Checkerspot finds colorful coneflowers a convenient perch. Photo by Bryan Stevens A Wood Nymph clings to a leaf near a pond. 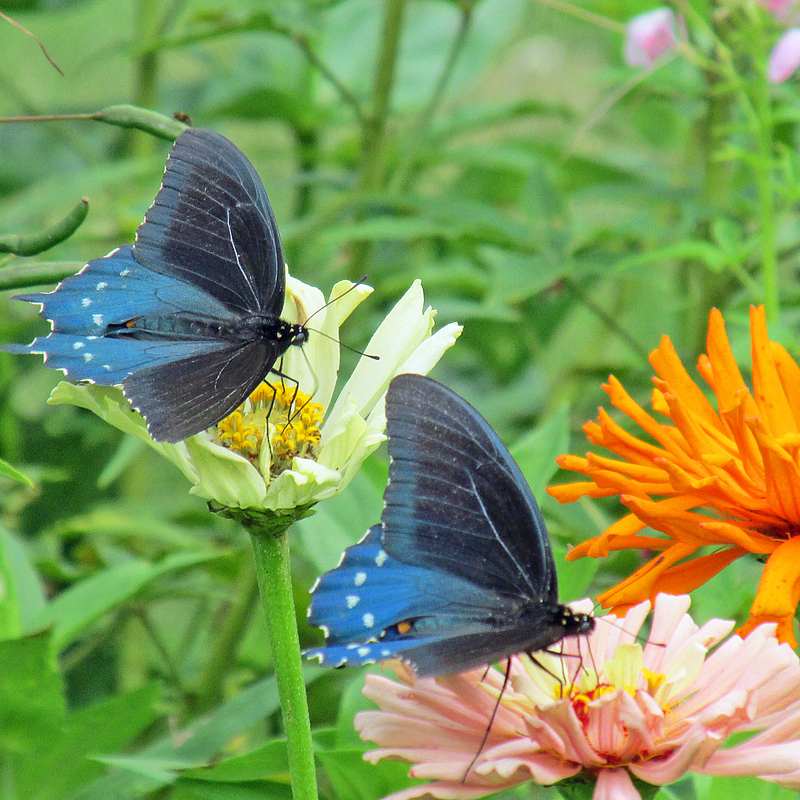 To attract more butterflies closer to your home, landscape with a variety of flowers and plants. Don’t forget to provide host plants that will feed hungry caterpillars, as well as nectar-rich flowers to feed adult butterflies. Do not use insecticides! You want to welcome these beautiful insects, not kill them. To learn more, visit this page provided by the Missouri Botanical Garden. Photo by Bryan Stevens The Least Skipper is one of the smallest of butterflies in the eastern United States. Photo by Bryan Stevens Red-spotted Purple perches atop a platform provided by a wide poplar leaf. 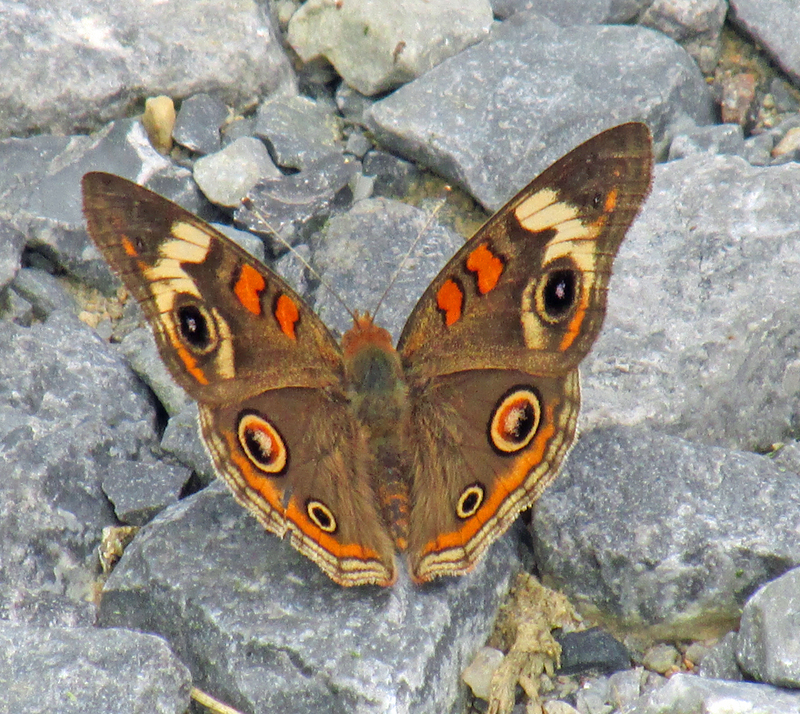 Photo by Bryan Stevens A Common Buckeye suns itself in a gravel driveway. Photo by Bryan Stevens Red Admiral in the wetlands along the the Ivy Creek Greenway at George Pierce Park in Suwanee, Ga. 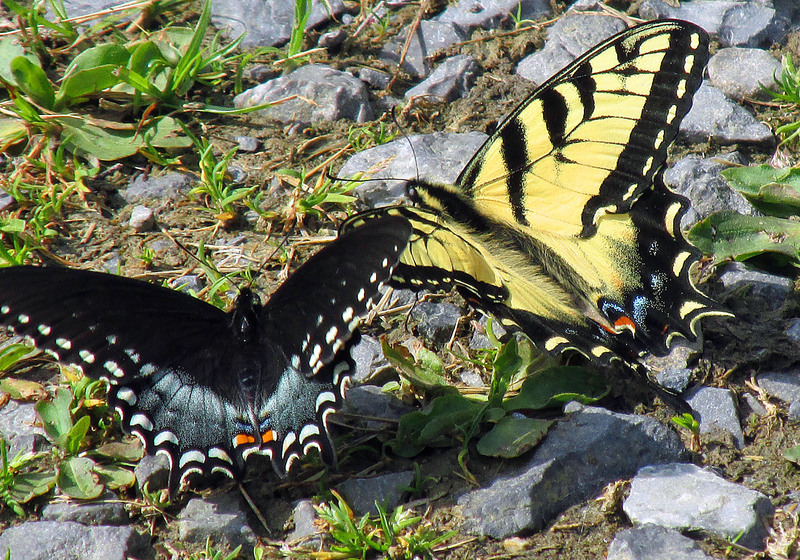 This entry was posted in Birding, Birds, Butterflies, Uncategorized and tagged Bristol Herald Courier, Butterflies, Elizabethton Star, Erwin Record, Lepidoptera, North American Butterfly Association, Roan Mountain Butterfly Count, Tiger Swallowtail on August 17, 2014 by Bryan Stevens.